The latest trade deal agreed upon by the United States, Mexico and Canada holds no water and is just part of a big theatrical performance, Richard Wolff, professor of economics emeritus at the University of Massachusetts Amherst and founder of the nonprofit Democracy at Work, told Sputnik. ​But despite how much Trump will call the latest development a move in the right direction, it's all just part of an act to make it seem as though 45 has kept his promise on working for the American people, Wolff told Radio Sputnik's Loud & Clear on Monday. "Faced with that enormity of what any political leader can do and, indeed, what any president of the United States can do is never more than marginal," Wolff told host Brian Becker and John Kiriakou. "This is, of course, a problem for politicians, particularly presidents, because they parade around and run for office by denouncing whatever they can find wrong with the economy and promise that they will fix it." It's because NAFTA was a policy supported by former Democratic US Presidents Bill Clinton and Barack Obama that Trump seized the opportunity to blame the Democrats for something he considered a setback for the American people, according to Wolff. Wolff went on to stress that Trump's claims against NAFTA are simply "nonsense" and that "this is all noise and shouldn't be taken seriously." Some takeaways from the new deal include a requirement that 75 percent of auto parts making up cars manufactured in the three countries be made in North America, and that Canada's dairy markets open to US farmers. Others revisions include a foreign exchange provision that keeps countries from manipulating each other's currencies, a raise in the minimum wage for Mexican auto workers and criminal penalties for people caught pirating movies online. "This is a theater whose only meaning is that there is more support in the United States for a shift to protectionism than people had thought there might be," Wolff told Becker. "That's all it is. The rest is theatrical emptiness." 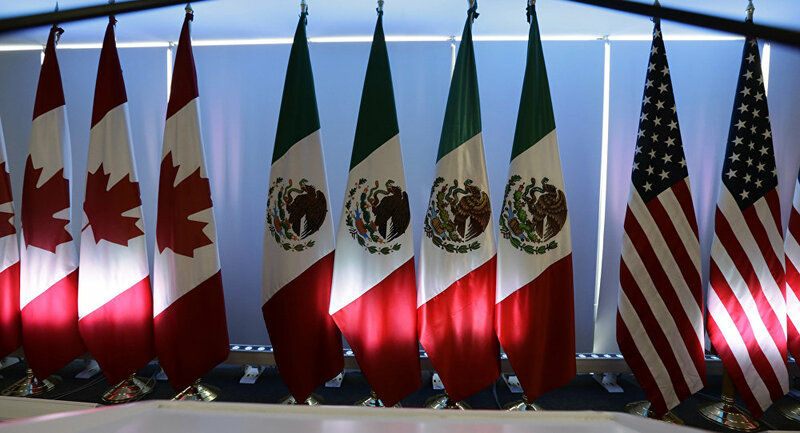 The USMCA is expected to be signed by Trump, Mexican President Enrique Peña Nieto and Canadian President Justin Trudeau by the end of November.